Your next workout just became a whole lot better. Nothing seems longer than running on a treadmill without music. Time seems to slow down to a crawl, and putting one foot in front of the other feels like you’re climbing a never ending mountain. The difference a workout playlist makes is enormous. Not only does music add a little more bounce to your step, but it also motivates you to work harder. But while most gyms have their own selection of music playing on a loop, it’s not always the music to put you in the mood. 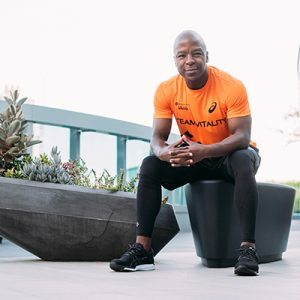 Personal trainer Xola Magwaza prefers to listen to his own playlist in the gym. “It allows me to zone out from other noises in the gym and it keeps me in good spirit. Let’s face it, some gyms tend not to play the music you’d want to hear while working out.” Xola has four different playlists that he picks from depending on his mood and what he focuses on in the gym. In a study conducted Research Institute for Sport and Exercise Sciences, researchers found that the participants cycled faster and covered more distance when the music was upbeat. They also found that the participants chose to work harder when the music was faster. 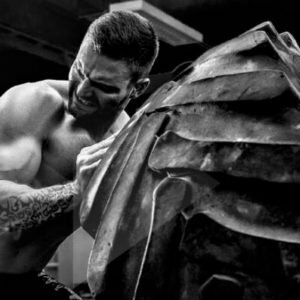 For Dylan van Houten, head coach at Ritual Gym, the beat of the music makes a difference. “A nice beat is also very helpful for when I incorporate skipping into my cardio days as it helps the timing.” Cardio workouts have him listening to alternative and classic rock songs, such as Foo Fighters, Papa Roach and The Offspring. Deciding what music to listen to at the gym can sometimes be tougher than your actual workout. Using the help of these six personal trainers we’ve created a workout playlist for you. They shared their favourite music and we put them together to help you feel inspired. Your next workout just became a whole lot better. Also, follow us on Spotify to keep up to date with our various workout playlists!